Often when I’m listening to music, I’m reminded of quotes like “the brightest stars burn out the fastest,” or other cliché phrases of the like. I could, off the top of my head, name at least 20 music icons that passed away entirely too early for various reasons. Many take solace knowing at least these artists had a huge impact in such a short time. Today’s artist is, sadly, part of that pack. Amy Jade Winehouse was born in north London in September of 1983. Dad was a cab driver and mom was a pharmacist practicing Judaism. Her ancestors were Russian and Polish immigrants to London—many of whom were professional jazz musicians. Because of this, her parents played a lot of jazz around the house for Amy to be influenced by, and her father used to sing Frank Sinatra songs to her before bed. She would often be made fun of at school for singing that type of music, not being part of current pop culture. When Amy was 9, her grandmother suggested she attend a theater school to further her vocals and learn to dance. At 14 she began writing music and playing guitar. At 17, Amy was a featured vocalist for the National Youth Jazz Orchestra out of London. Her talent was so obvious, a bidding war broke out for signing her. Island Records was the winner and they got started right away. 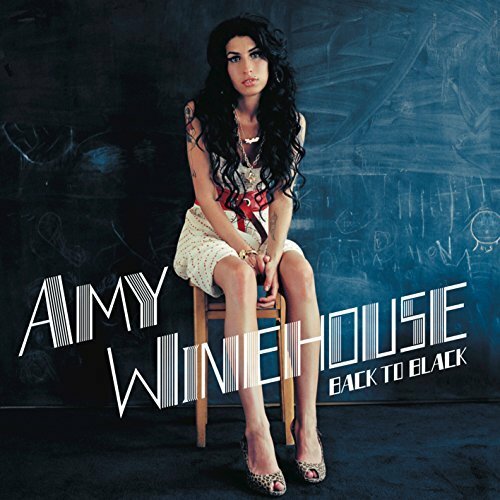 Winehouse’s debut album was released in 2003 and had a very unique jazz feel to it. After solid critical acclaim, they decided to shift focus and try out a soulful R&B album to hit the mainstream. 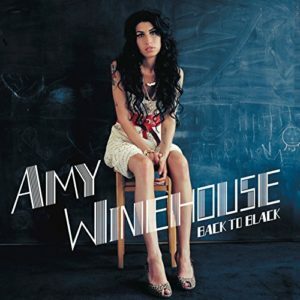 Back To Black was released in October of 2006. Her process was interesting: she would record her studio work onto a CD and listen to it in her father’s cab. She wanted to hear it how the majority of people would, and made tweaks based on that medium. Taking five months to record, the marketing was quick and furious for the release. It spawned five hit singles, was nominated for two Grammy Awards (and won one of them) and received unanimous critical acclaim. It was co-produced by a relatively unknown Mark Ronson—who has since found fame with Bruno Mars for the smash single ‘Uptown Funk’. Nearly all of the accolades are due to Winehouse’s outstanding vocal style. It’s hard to argue with that, since she clearly had major talent. But it was more than that—the sound was so unique for the mid-2000s and her material was so honest and open. Mostly about relationships and modern day problems mixed with a sound straight from the ‘60s. Having sold nearly 15 million copies of the album worldwide, huge things were expected from Winehouse, and this would be the first of many multi-platinum selling records. However, Amy very much struggled with substance abuse and mental illness. She passed away in July of 2011 from alcohol intoxication, with a blood alcohol level of .416%—more than five times the legal limit. Amy Winehouse lives on through her family and a variety of memoirs and films dedicated to her life. My focus today being on her music, it’s hard to argue the validity of Back to Black and her career. Give it a shot today for $5 bucks.